Backpack made of durable nylon blend. Full zip-around closure for easy access. Front features super pig graphic with brand logo across the chest. The peppy porker on this Dolce & Gabbana Kids™ D&G Super Pig Backpack is here to save homework! 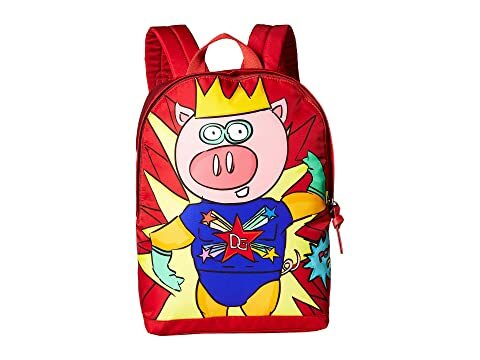 We can't currently find any similar items for the D&G Super Pig Backpack by Dolce & Gabbana Kids. Sorry!